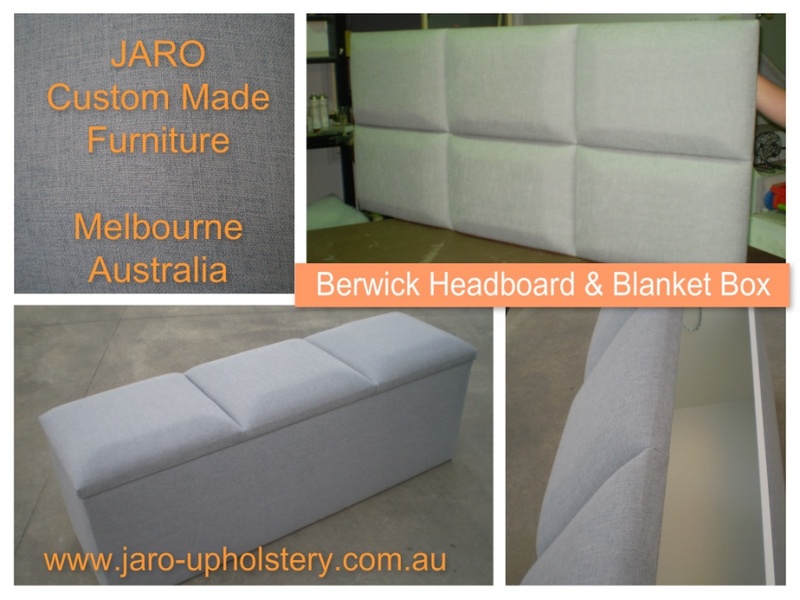 JARO's Berwick headboard and blanket storage box comes in a large selection of fabrics, vinyls and leathers. They are very sturdy. The headboard can be connected to the wall or you can have the same style on a bed head and base. Contact us either via email or text/ring Jason on 0402 188237 for more information.